We usually start worrying about airport transfer well after we have planned and booked our vacations. And we usually choose between three options of airport transfer. Have we ever paused and really thought, which one might be the best option for us? A lot of travelers, especially the last-minute travelers, prefer to organize their own transfer and go to the airport with their car. Are you one of them? It might seem like a great idea at first, however there are some crucial aspects you need to consider. While traveling with your own car does get you the comfort of traveling directly from home, traffic jams can soon turn your ride into a stressful hell. If you do manage to get to the airport in time, can you avoid parking chaos? Finding an affordable parking space close to the airport is often mere wishful thinking. Leaving your car keys to a parking manager? Sure he is worth your trust? Finally, December weather conditions can be quite unexpected. Cleaning a pile of snow off your car roof is great fitness indeed, but not a nice welcome back present, right? Having a friend or a relative drive you to the airport does let you keep the comfort of getting picked-up at home. But your friends or relatives need to take double time and spend twice as much money to drive you. And traffic jams are still a problem. And in case your flight is delayed, the long waiting spoils the moment. Let’s not mention the parking fee. 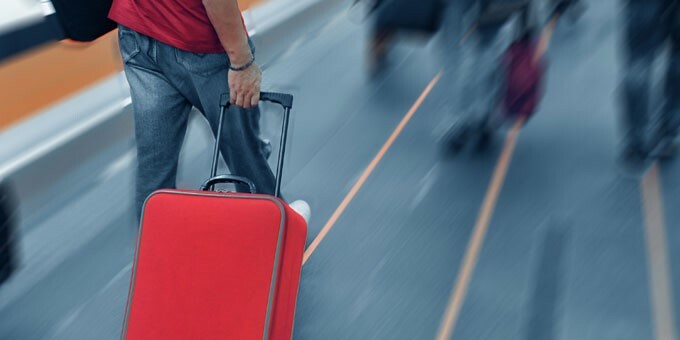 While a bus or a train can be a great and affordable way to travel to the airport, dragging your suitcases to the station and waiting in the freezing cold is uncomfortable to say the least. There is never enough space for your suitcase on a bus or a train. The holiday season also means there will be more people using public transfer so finding a free seat could prove to be mission impossible. Do you really want to be completely exhausted before you even set foot on the plane? What’s the best solution? Book GoOpti! The best solution to these problems is GoOpti. Get to the airport comfortably and on time for an affordable price without stressing out on the blocked roads or losing your mind in search for a parking space. Our planners will always plan your trip considering all the possible congestions and they will make sure you are never late to the airport. GoOpti vehicle will pick you up at your doorstep and drop you off in front of your airport terminal. Add the to your order and we'll make sure you get to your destination even if we encounter a real dinosaur on the road. Book your GoOpti transfer right after you have bought your plane ticket and forget what worrying feels like!